Get all of the latest information and watch every minute of the Melbourne Derby live. Click here to watch using with an A-League live stream pass! 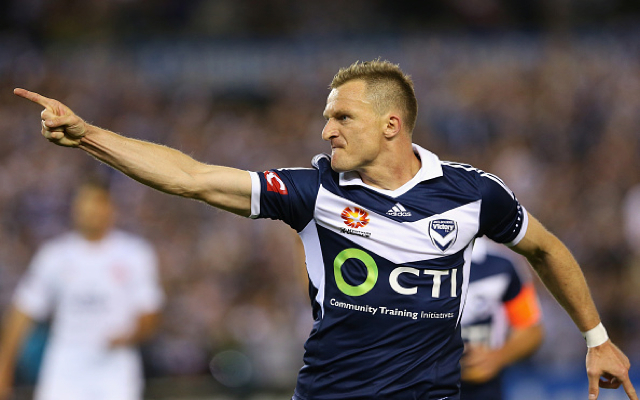 Bragging rights are up for grabs on Saturday when Melbourne Victory play host to crosstown rivals Melbourne City. The Victory will be out for revenge having lost their last clash in injury time, but the result of this one will have ramifications on both club’s season’s. Kevin Muscat’s Victory side will be looking to keep pace with ladder leaders Perth Glory, while City will be gunning for a win to remain in a finals position. City have named new signing Josh Kennedy in the squad, but whether the Socceroo is fit to play is still unknown. Vicory welcome back Archie Thompson into the fold after he missed his side’s 3-3 draw away to Perth and will be relying on the 36-year-old’s big-game experience. It’s the Melbourne Derby, make sure you don’t miss it! Check link above for streaming information.